conveniently located next to Hobby Lobby), Hancock's (Conway), and some from online stores. These are all of my yard cuts. I am excited about starting to pull from my stash when making a new quilt. These are all fat quarter pre-cuts and a stack of 5" squares (charm packs) in the bottom center. Rachel at PS I Quilt started a Quilt-A-Long during the month of January. I decided to grab some fabric and join the party. 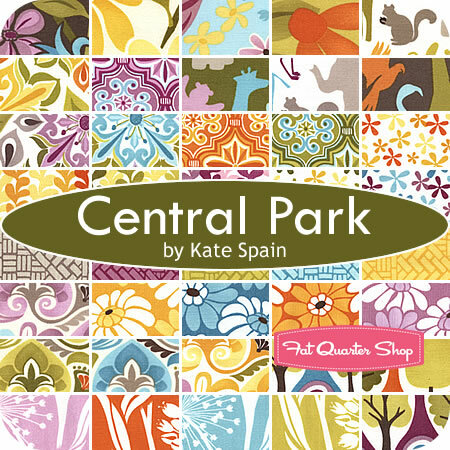 I needed two jelly rolls (one solid and one patterned) so I decided to use Central Park since I have loved it since I first saw it. 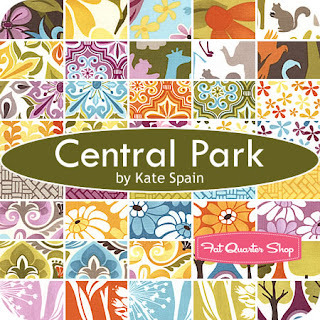 The instructions for the Quilt-A-Long can be found here. If anyone wants to follow the pattern later. It's a quilt of 2" squares that is a fairly simple assembly. I posted pictures of my strip sets on Facebook. From there I cut the sets into 2.5" strips and sewed them together to form squares and eventually form rows. 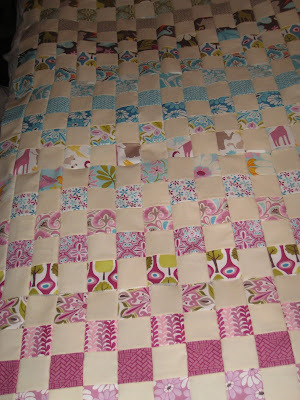 I still have to press my seams open before I finish sewing the quilt top but it's really really close to being done! I have decided to quilt it diagonally but it's going to be quite a chore to fit this 60"x80" quilt onto the machine. Lots of rolling and pinning. I also have 27 extra strips that might just become some new placemats. Derek is very uncertain about quilted placemats but I think they would fit right in. That's all I have for now. Let me know what you think. OMGQ I LOVE IT! You have come quite a long way from Christmas. You can be so proud of your accomplishments. I LOVE the colors you picked and how you arranged them. Was that difficult? For years I toted around a peach basket with fabric scraps left over from the clothes that LaLa made Ann and I when we were young. 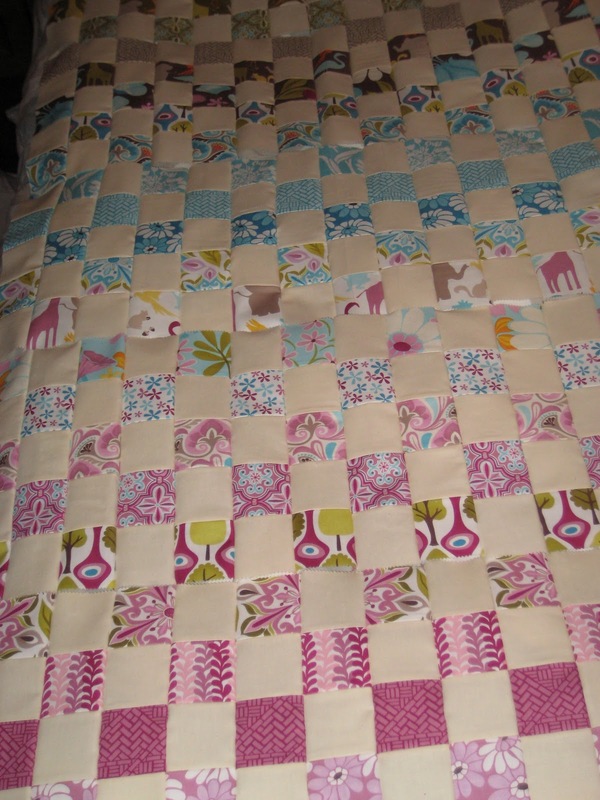 I made a quilt for Marissa out of those scraps. She loved it. Looking at it brought back memories to me of the clothes and the times we wore them. Unfortunately it was lost, during one of our moves . . . I suppose. LaLa made fabric place mats for our table when we were kids. Easy breezy to clean and use. They weren't pieced but she did quilt them with the sewing machine and used biased seam tape around the edges to pull it all together. I had almost forgot about that until you brought it up here. I believe the backs and fronts were a different fabric for some variety. Keep up the writing. I am enjoying reading and seeing what you are doing.